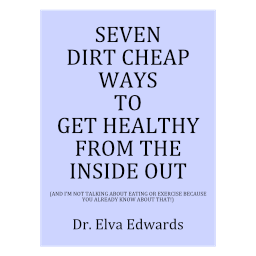 February 2015 – Dr. Elva Edwards, D.C.
Today I am going to write about a book that could change the world if everyone would read it. So, let me be realistic. It is about changing your life, if you want to. There may be many such books, but this one is short, concise and funny at the same time. It is worth the time and energy your kids will love it! It is a great book for parents to read with their kids and discuss over dinner. What great table conversation! I am sure the children would love to do some of the experiments that she asks you to do in the book. It will give you connection that children desperately want and need and they would learn the principles of the book. Some of you may have already guessed the name of the book. It is E squared. With quantum physics being table talk these days, the way she talks about energy is refreshing. That is, of course, if you bring an open mind to the book. The part I probably loved the most in this book is how she talked about prayer. It isn’t new really, but just the way she says it makes me smile. She says that our thoughts are energy and the energy will do anything we ask of it. Each thought is a prayer. Now, scan the thoughts you have had today and see if that is what you want in your life? For most people, it is probably not what you would want to bring into your life. So, we are talking about training our mind to see the reality that we want in our lives. And for those who meditate and think, “we should quiet the mind,” that is not discounted. The key is we are not simply talking about what happens for 20 minutes to an hour each day in prayer or meditation, but what happens all day long. We know this information instinctively, but she puts it on paper for a person or a family to experiment with the ideas and see for ourselves if she is right. In terms of me personally, years ago, I met a woman and we became fast friends. Several years later she and her husband moved away from Denver. Over the years, our friendship kept blossoming and we became best friend even over the miles. We had similar thinking in terms of health and life. One day she called me and said, “I have breast cancer. “ We talked for some time. During that conversation she said, “I always thought that I would have breast cancer.” I was shocked! Don’t we know our thoughts have energy and that thinking that way draws that toward us? I can’t remember if we talked about thoughts, but how could we have not. We all have our “stuff” as we say and I love her and always will. I know it can be very hard for people who have a parent or sibling who had the unfortunate diagnosis to not think about it or worry about it because of genetics, but that is when training the mind is the most important. For me, everyday, I say out loud to the world, “I am so thankful and grateful that I, through the power of divine love, have abundant health!” Sometimes I indulge myself and say it over and over. And, as Ms. Grout, the author of E squared said, that is my prayer, over and over. Many years ago when I first heard about how our thoughts as well as our words affect us, I had this habit of adding a few words to something after I said it if I realized, I don’t really want that. For example, I said, “I am so mad at myself for not getting here on time.” I would then follow it by saying, “cancel, cancel.” I was canceling my words and thoughts. I did not want to be mad at myself. I was trying to learn to love myself! I was training my brain in the late 70’s fashion. It can take awhile to train our brain so there is no better time than the present to get started. You can get your book here. Read the book, and please email me with your thoughts about the book and what happened in your experiments!! I am very interested in hearing your stories!